I didn't find it intresting. i would rather know what happened to the real kuzon. This was an average episode overall, but for a few points I liked. One, Aang's noodle portrait of Ozai was hilarious. Two, it was adorable seeing Azula show concern for Zuko, even if she did have her own motives to keep him away from Iroh. Three, Katara's reaction to Aang dancing with On Ji is very giggle-worthy. Didn't really like this one at all, it seemed aang wanted to be normal kid playing around while the war goes on and soldiers die. This is a personal favorite of mine. It does a great job of showing us what the fire nation is all about and really shows us how deprived Aang has been of an actual childhood. What makes this episode so unique is that it tells such an upbeat story, while conveying such sad underpinnings. I can understand why some may not like this episode, but to me this ranks in the top 3-5 for S3 and very high up overall in the series. It's also one of the few episodes that combines excellent storytelling and humor with a standalone plot, which have a mixed record in ATLA. Some might look at an episode like this one and yell "ZOMG FILLER!" (with some good reason), but I can't hate on it, it's too well executed. The humor is well done, Zuko's story arc is continued, a good glimpse into the Fire Nation's use of propaganda is given, and we get the first really serious dose of Kataang in Book 3. Plus, it's a homage to Footloose. When I first realized that I was kind of floored that a Nick series was doing that. Oh, and Wang and Sapphire Fire. That is all. Footloose came to my mind too when i watched it the first time. oh, and Matthew Underwood was the jealous boyfriend! hotness! This was one of the better filler episodes. I love Wang Fire and Sapphire Fire! ^ pretty much pointless fan service filler that doesn't do anything. To end on a positive note i liked the fire nation brain washing the kids in school. Also aang seemed to forget there was war going and wanted to be normal....really? ^Every hero wants to be normal at one point or another. It would've been confusing for me if he didn't find the idea of being normal appealing. I love this episode way too much Its pretty filler-y but it was done with so much charm and humour that its one of the most re-watchable episodes for me. Wang Fire made this episode awesome. He certainly picked the worst time to do so, even show little concern for the state of the world. ^The timing isn't exactly his fault. And I think it's easy to show little concern for the state of the world when you're young and having fun. No matter if you're the Avatar or not. You can't be serious People are dying daily and aang wants to bee normanl, have funny, and dance. Some avatar he is. Couldn't this complaint be levelled at the entire show though? Even in times of war, things can't always be srs. They dropped the ball on a few episodes of this nature in the show, but this one was a goodie as far as I'm concerned. It's not like they were planning on settling down on that island and throwing dance parties while the world was destroyed. I don't know what you were expecting in season three, but if you expected every episode to be fighting the Fire Lord to save the world, I think it was a little farfetched of you. There was bound to be some filler, some episodes like this one, showing the Gaang's interractions with people of the Fire Nation. Aang had one chance to beat the Fire Lord. If he failed he would most likely be killed or captured. Therefor he shouldn't be jumping to do it before he was ready. And he wouldn't have a chance to be normal after the war. Plus, Aang didn't set out to get into that school, he just happened to pick the wrong set of Fire Nation clothes to pilfer. Once he was there and learned of the brainwashing and rewriting of history going on, however, he felt he had to do something. Gotta admit, I did not like Onji being there. Kataang all the way. She worried me a bit. Thought she was gonna get crazy about Aang. Loved the dance. That stuff was hilarious!! Great episode!! Actually, blending in was kinda what they were supposed to do, since they already have planned when to strike. It has been awhile since someone posted on this thread. 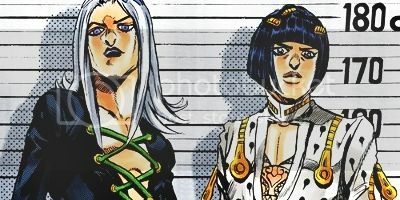 I am fairly new here so I thought I would post my thoughts on at least some of the episodes. "The Headband" was one of my favorite of the basically light hearted episodes. It was interesting to see the indocination and proganda the children in the fire nation are exposed to, it reminds me of what one hears about totaitrian regimes like North Korea. Aang trying to fit in was amusing, and the trouble he got into at school, like intentionally messing up the oath. Sokka and Katara pretending to be Aang's parents was hilarious and the dance party was fun to watch. 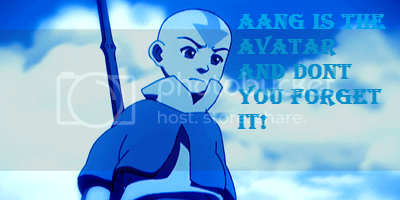 ^ I don't think Aang was intentionally messing up the oath. I just think he didnt know it.